Most people are utilizing the services of Uber or Lyft versus risking the chances of driving and being arrested for DUI. The safest and best option is to not drink and drive. However, some DUI arrests occur when someone has a few glasses of wine at dinner and believes they’re safe to drive after an hour. Consequently, an arrest leads to thousands of dollars in fines, attorney’s fees, and a permanent conviction on your criminal record. To be clear, there’s nothing someone can ‘do’ or ‘say’ that will get them out of getting a DUI. If you’ve been drinking, chances are, you will be arrested. The following article will address common myths, and what you can do to help increase the chances of beating the DUI in court. Pull your car over and turn off your engine. Turn on the inside light(s) and place both hands on the steering wheel. Avoid reaching for your driver’s license, proof of insurance, and registration unless instructed by the officer. Do not argue with the officer about the reason why he or she pulled you over. The officer will normally ask where you’re heading from or where you’re going. The officer will also ask whether you’ve had anything to drink. Decline answering any questions and state “I will not answer any questions without the presence of my lawyer.” The officer will then ask that you exit your car ñ this is expected. Once outside your car, the officer will ask that you be seated on the curb or request that you complete a series of field sobriety tests (walk a straight line, finger to nose, or balance yourself on one leg). Typically, the officer will request that you complete these tests in a nonchalant manner such as “Okay what I’m going to have you do is…” You do not have to submit to these tests and there’s no reason why you should. The officer will then request that you blow into a small device in the breathalyzer (formally known as the preliminary alcohol screening device). You do not have to blow into this device and there’s no reason why you should. The device is mere utilized to detect the presence of alcohol so the officer can justify your arrest. At this point, the officer will arrest you for DUI. You will then be asked whether you wish to submit to a formal breath test at the police station or submit a blood sample. You must submit to either test or the DMV will suspend your driver’s license for one year. 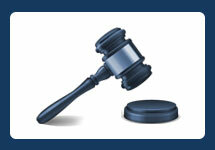 There is a difference of opinion between experts and attorneys about which test to submit to. In my opinion, blood is better. If electing blood, you preserve the ability to have it retested by a defense expert whereas breath cannot be retested. Additionally, the government must prove the blood samples’ chain of custody and the qualifications of the drawer. Furthermore, the blood sample could get lost or accidentally destroyed. Normally someone arrested for DUI is released approximately six hours later. It’s best to contact and retain an attorney at the earliest point. First, you must schedule a DMV hearing within 10 days of your arrest or your driver’s license will automatically become suspended. Next, there may be crucial evidence your attorney can obtain such as video surveillance or speak with potential witnesses before their memories fade. 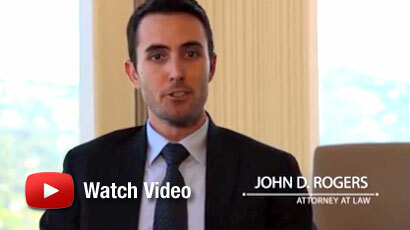 If you’ve been arrested for DUI, contact an Orange County Criminal Defense Attorney at the Law Offices of John D. Rogers for a free confidential consultation.